Electrodiagnostic medicine is an extension of the patient history and physical examination. Electrodiagnostic studies (EDX) consist of two entities: (1) nerve conduction studies (NCS) and (2) needle electromyography (EMG). 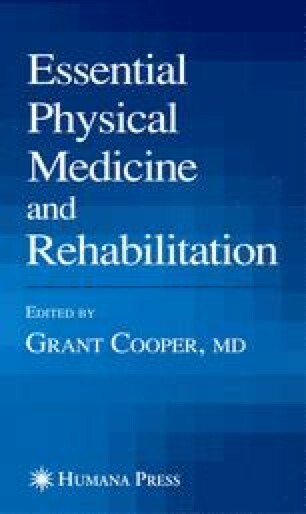 These studies measure the electrical properties of neuromuscular function and can be helpful in (1) confirming a suspected diagnosis, (2) excluding other possible diagnoses, (3) identifying subclinical disease processes, (4) localizing abnormalities, (5) defining disease severity, (6) defining pathophysiology, and (7) defining disease evolution and guiding prognosis and treatment options. Whereas imaging studies define anatomy, NCS and EMG define the physiology and function of the peripheral nervous system (PNS). This chapter is intended to provide a basic overview of electrodiagnosis, including a review of the PNS anatomy and physiology, an analysis of different wave form parameters, and a discussion of the common pathologies referred for EDX.